Brazilian Clay Pots are undoubtedly one of the most significant representations of the culture of the Brazilian State of Espírito Santo. The clay stock pots, known as Caldeiros de Barro Capixaba, have been made for centuries by the indigenous people that inhabited the coastal regions long before the European colonization of Brazil began in 1500. 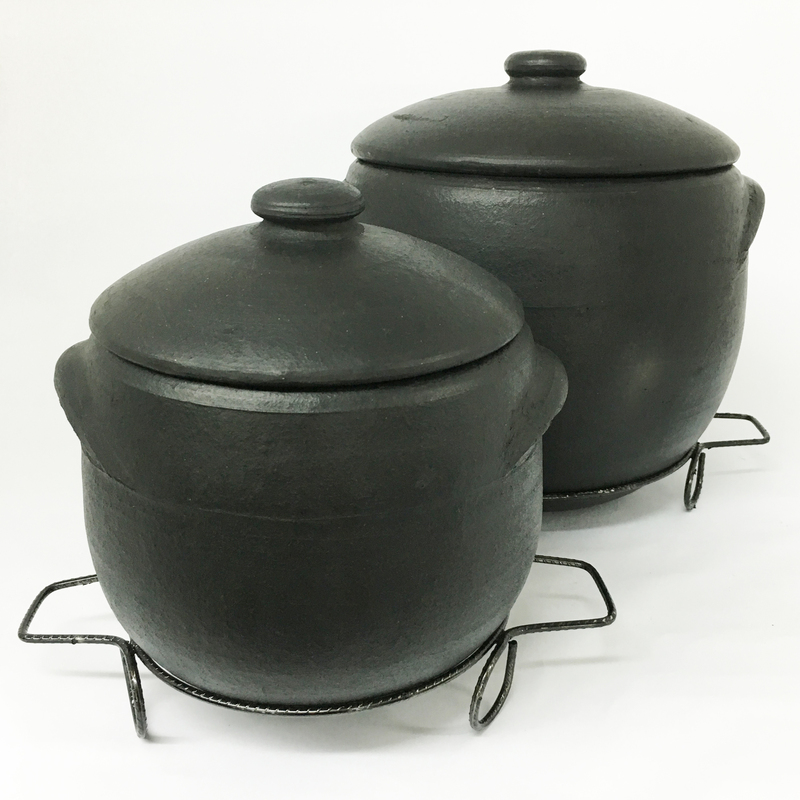 These clay stock pots are great for making large quantities of food such as soups and beans and are great for making the Brazilian favorite, Feijoada. They come with their own wire trivet in order to take them to the table for an exotic presentation.